I love grilled lettuce. I absolutely love it. It is such a wacky idea, but yet tastes so amazing! There isn’t much to it either…..you put a lil olive oil on your lettuce, grill it on low heat, and then fix however you like! It can be casual or very refined, depending on how you dress it up and top it. And this dressing is amazing. Like, amazing. It is bright and fresh and enhances the grilled romaine. Never mind the shrimp there 🙂 That was for another part of the meal. 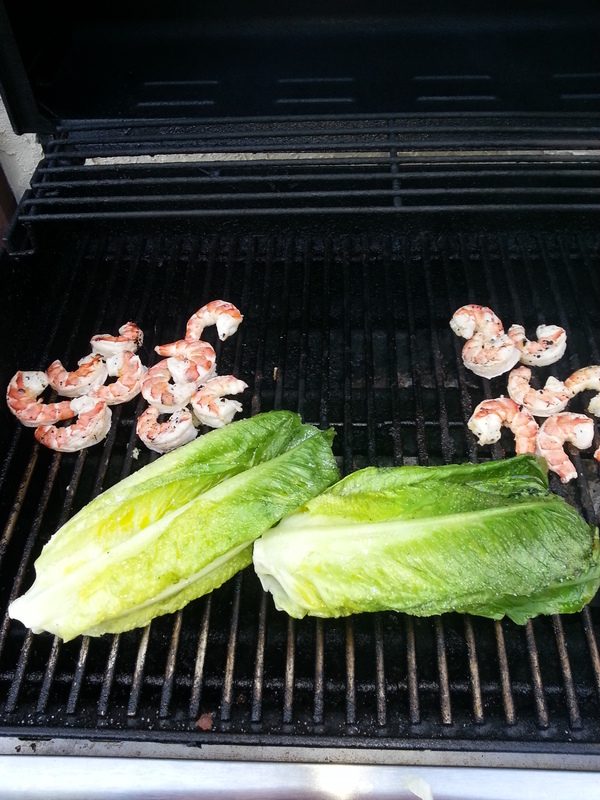 But thinking it through more, you could easily put grilled shrimp on top of this grilled lettuce with the dressing and it would taste amazing. Hmmmmm, another meal idea!! 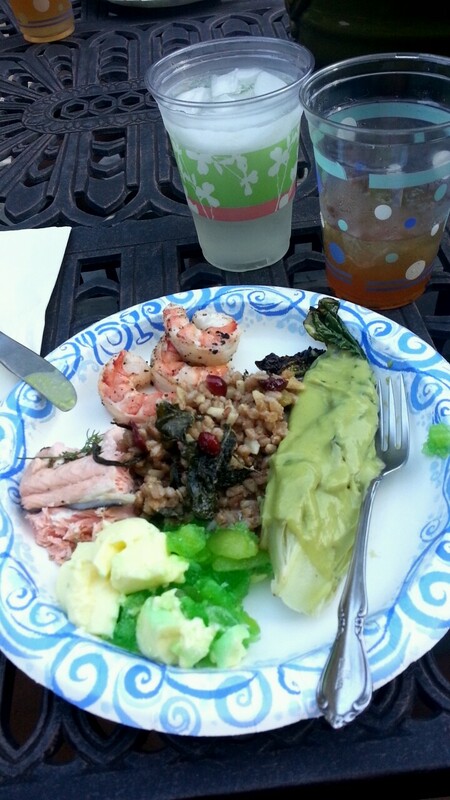 There is the grilled romaine to the right in the pic. I had an accidental drunk-pour of the dressing and put a bit too much on there……ooops! It tasted delicious – and I saved the extra dressing to put on some garden-grown tomatoes later in the week. Yum! 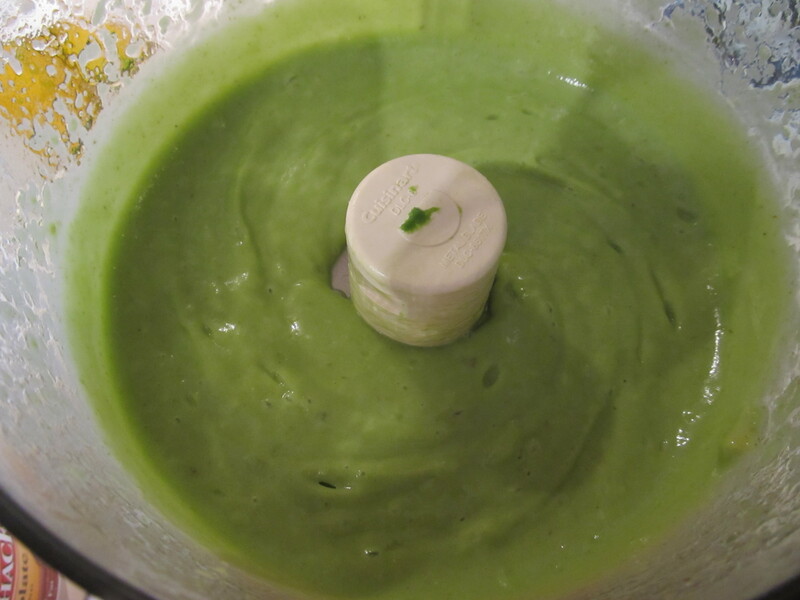 For the dressing, put all the ingredients in a small food processor or blender and combine until creamy. Add the pinch of sea salt and mix it in. If it looks way too thick, add more water until it looks like salad dressing. 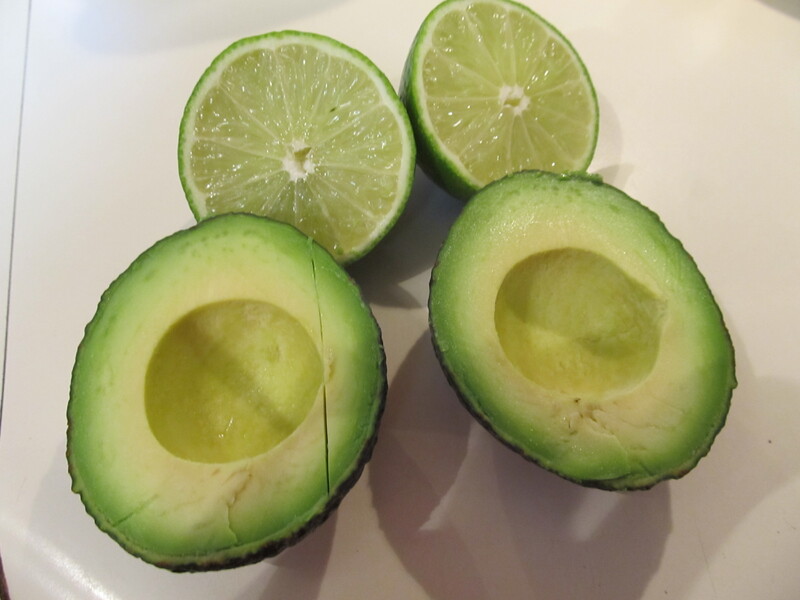 Pour it all into a small container and refrigerate until the lettuce is ready. Can be made a day ahead. To grill the romaine hearts, heat the grill to a medium-low heat. As long as the grill isn’t crazy hot, you are good. 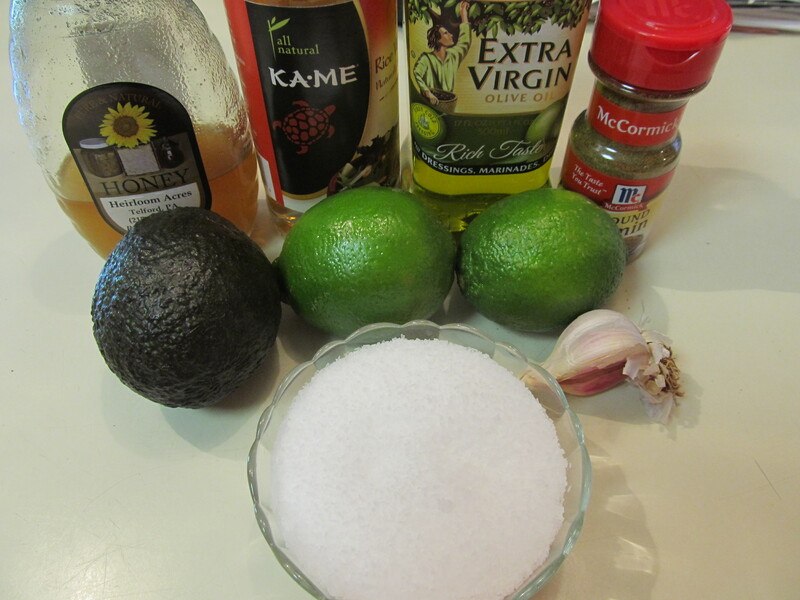 While the grill heats up, mix the garlic, olive oil and salt and pepper in a little cup. Brush or spoon the oil mixture to the cut side of the lettuce. This isn’t the real dressing so go easy. Place the lettuce face down on the grill for 60 seconds or until there are clear grill marks and the leaves are beginning to wilt. Flip the hearts over and grill the other side for another 60 seconds. You want the leaves to look charred but not all limp so pay attention. When they look good, put them on a plate and put some dressing over the hearts. Top with sliced green onions, chopped cilantro, and plenty of black pepper.